One of my Spirit Guides likes to talk to me as if I'm teaching what is being shared. It's hard to explain, but I get lots of aha moments through this technique. It allows my mind to go with the flow as I see, hear, sense and speak the words channeling through me. I often find teachings from my guides emerge after life's experiences trigger little cosmic clues. Over the weekend, I was part of a traditional Seneca celebration to honor the harvest called Genundowa or Festival of Lights. In a moment of quiet, I thought about all the spiritual books I grew up with. A lot of them were about conversations with one or another author's spirit guide, many of whom were native spirits. 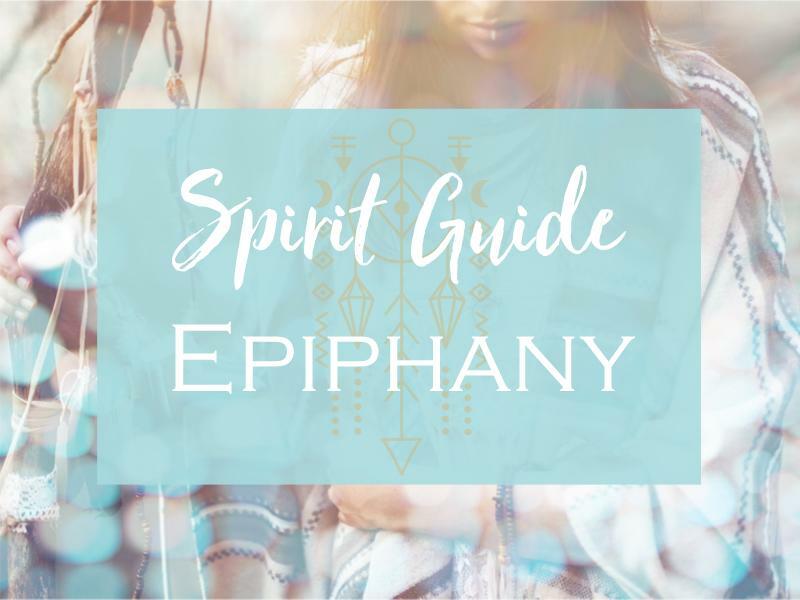 I then found myself talking about why there are so many native Spirit Guides. I took it for granted that their deep respect for and knowledge of "the Great Spirit" aligned perfectly with their task of spiritual guide. What came through is that native cultures honor the earth. Their rituals give thanks for the earth's bounty. When we offer this appreciation not only do we set up the Law of Attraction, we also bless the earth with the beautiful frequency of gratitude. This vibration then goes into everything the earth produces, food, water, crystals, etc. And that energy then returns to us. I was told that many of us have forgotten about our earth mother, Gaia. The Native Guides agreed to bring this awareness back into the earth's vibration by guiding us to remember her contribution to our existence. Then we as light workers ground this energy into the planet's group consciousness to inspire both the global community and future generations. There's more to the teachings, but this was the gist of it. I thought about this and realized the connection I have with the earth has deepened since communicating with my various native guides. I wonder if you have been drawn to honor the earth and if that awareness has become more important as time goes by. If this is your experience then it's likely you have a Native spirit as one of your guides too. I would love to know thoughts. Please leave a comment about your experiences. Do you want to connect with your Spirit Guides & Angels? Then I have just the course for you. 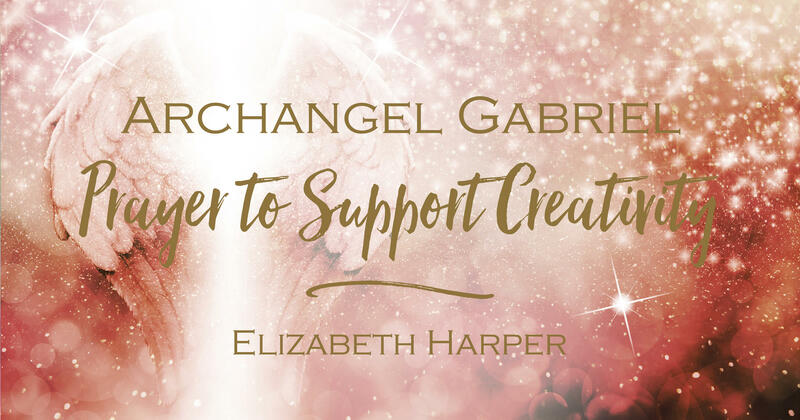 I have a very strong connection with my SPIRIT TEAM and I want you to forge the same strong bond with your heavenly support team too. Your Guides and Angels send you signs all the time letting you know that they're with you. But when you get that sign you need to figure out what it means. What if you could ask your Guides and Angels exactly what those signs and symbols really mean FOR YOU? 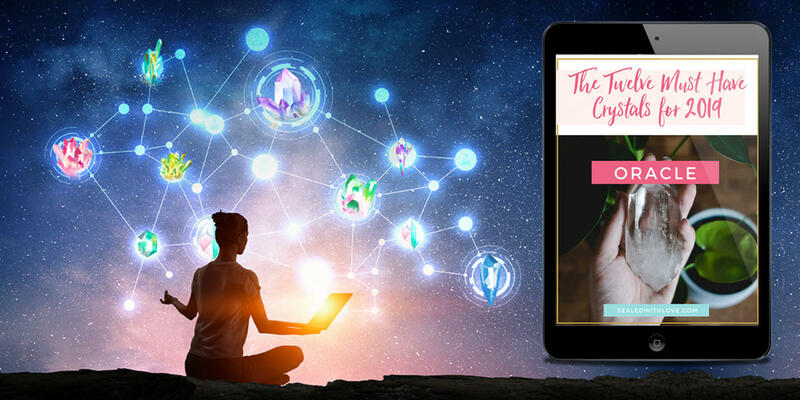 What if you could easily and effortlessly communicate with your Guides and Angels whenever you want? What if you could receive answers to ALL of your questions at any given moment? START CONNECTING WITH YOUR SPIRIT TEAM TODAY! Sue howes I have always when I was younger loved how the natives thought of our beloved earth..how spiritual they were and all of this was before I became spiritual..I also have thought a lot about the earth being a May baby so I am part of this earth..it breaks my heart what is happening to it and humanity. Bonnie Rabbit What a wonderful subject, Elizabeth, and I thank you for inviting our comments. I wonder myself, so I will just share a little of my own experience. On my journey to greater awareness, I have discovered my 9 Spirit Animals and have communicated with my guides, yet only recently met a few that I could vision in my mind's eye, in human form or angel. About a year ago, I got a final message from a healer passing on a message to me from his spirit guides, that I am a Healer and I have done enough personal work now and it is time for me to pursue that path. This time, I took action and started opening myself up to signs of what type of Healer I am supposed to be, or what options there are for me to choose from. Almost immediately I met a Native Healer in the spirit world that has become my trainer. I am so grateful for him and I feel so honored to receive his guidance and teachings. What also has shifted for me is far more focus on nature, a desire to learn about crystals, to learn about herbs, to learn about oils, and to gather feathers to use in my healing practices. I still do not know if there is a certain form of healing I am meant to do, but I do know what I have been drawn to and it is not just one thing. I have so many interests now and so much I want to learn and so many ways that I believe I can be helpful to others via many methods and, although I have always cared about our planet and every living thing on it, i am feeling a much more profound connection now to nature. Thank you again, for allowing me this opportunity to share about this topic, for your article, and I enjoy reading the shares of others. Chris Self When I first became interested in spirituality; as a recovering member of the "Church of Christ", I Had two different psychic acquaintances ask me about that huge Indian standing behind me. I always remember preferring to think that my nose was from Indian ancestors rather than English. And, the first time I watched Dances with wolves, it triggered a past life memory of a life very similar to the little girls. A friend of mine from my college years used to call me an Earth Mother. I have taken many landscape photos and sold a few, but there is one particular one that I took one day from the side of a highway that I think must have been the site of something...big or critical, because when I viewed it for the first time on my computer I could see "forms" hidden everywhere. I will try to locate it to share. One of my struggles has been how to deal with the lack of regard for the environment and the abuses of our countries native cultures. It has been frustrating that the information I have felt compelled to share has usually not been accepted or even considered until a decade later. I search for a way to...not worry...to think positively while not living in denial of assaults on the environment and each other. I've experienced miraculous things and have discovered other things that despite my near obsession with learning and "understanding" ... I wish I didn't know. The native teachings pertaining to nature make sense to me...ring true. Robin M At a young age I was taught by my parents and many other adults that we should always be Thankful and to give Thanks everyday to our Mother Earth, give Thanks for all of creation, be Thankful for all that we have and To give Thanks for what we use, like wood, plants, water, etc. I do give my appreciation and gratitude for all, but not everyday like I was taught to. And it has become more important to me as time goes by, I even noticed that as I get older, that my connection with the Universe gets stronger. I am also aware that we have spirit guides. But I have no clue on knowing who mine is and I have no clue on how to communicate with mine. Its something I would like to learn more about. Ivana Of course I would love to know them.They are sending me signs and guidance always but it takes time for me to really understand what they want to say.I would like to know the difference between my angel and a spirit guide. Kate Hagen Elizabeth, do you think we can communicate with the hurricanes (like Ms. Irmaline!) and maybe talk them down a little bit? Vania Frank Hi Elizabeth, I love that you brought this up! We have a son with special needs. And these children vibrate at a very high frequency. So my journey has been to heal spiritually, cleanse and raise my own vibration to connect with my son. We have a very deep connection because of this. But boy did I have some armor around my heart cutting off my gifts for most of my life. But, he has taught me so much. First, I think he is a native guide for me. Second, so much of my awakening journey has been about waking up to the abundance of healing frequencies, boundless really, on our planet and beyond. I was actually just typing up an outline for a natural healing talk I'll be giving within our district and was writing about how everything in nature, each with its unique frequency and vibration, has been made for our nourishment. Karen Summers Being sensitive, empathic and introverted as a child I have always been connected to nature. For as long as I can remember in my spiritual journey I have read animal and nature signs and collected dozens of feathers. I have power stones and leave offerings on my nature walks. I have always been connected to spirit and power animals and felt a life long affinity with the Native American way. 17 years ago when I had a psychic opening I had a very vivid dream that informed me of my spirit name or my guide's name. I always felt it was mine tho and that name is White Crow. Gaia for all that she provides for me. on and on are provided by her. I also thank God for Gaia. Through my photography I have made connections to Mother Nature. I often “feel” the need to photograph a tree, the ground, water, rocks and not knowing why or not “seeing” with my own eyes yet what is there. I only know that I am guided to photograph it. Over the years I have had many native guides/imagery come through. I live on Vancouver Island which is rich in native history and culture. One of the most intriguing moments I experienced was on walk through a forest. We were dog sitting and for the first time in my life I was walking a dog. Having never done this before I just let the dog lead me lol - off we went - first on a wide walking trail and the off the trail through the forest, back on the wide trail and onto a sidewalk and then back through the bush on narrow trails and when we emerged again back onto the wider trail - there it was. A tree stump that had naturally deteriorated but had a definite shape of a muscular male figure - head, shoulders, strong muscular arms, torso, hips and the legs transitioned into the bottom of the tree. I stopped. I photographed it. I was going to walk away but I heard - saw, naw, haw, ka, and a few other words that I can’t remember now. (I do wish I would have written it down) I stared at this figure before me. I photographed it again. I could feel its power but I did not know what it meant. Later, I couldn’t get the image out of my head. I still had the images on the camera. I looked at it - I still only could see the masculine shape. Over the next two weeks I still see the image in my head. I loaded the images to the computer and then I printed it. There he was! Right in the middle of the torso was my “spirit warrior”. His face was right there. He is definitely an old soul and a strong man. The words didn’t ring any bells for me until recently there is a native lands that are being commercialized by the clan themselves - adding a gas station and other amenities. They placed a sign Snaw-naw-as Le Lum. To be honest I am still unsure what the message is for me or if it even is for me. I recently enlarged the image to a 45” x 30” canvas print and displayed it at a major art show to see if anyone had any comment or insight to the image. While many were in awe of what they saw no one had any further insight. I think maybe “now” is the not the right time to know or maybe I was just there to see him before he transitioned from the tree to his next life. Kathy Nissen I was drawn to a painting by a college student back in the '80s when my husband was in college. It was in an art student class sale of art. I had NO idea why i was drawn to it. It is nothing exceptional not even the subject. It is just the head of an Indian kinda floating in what looks like water. I was meditating not long ago seeking the names of different guides when this picture came in front of my mind. I couldn't find the picture. I have moved recently and not put up all my pictures. I ran to find the picture. When i found it he says "Its about time". I told him i now know why i was attracted to the picture. He is a protector guide. He says " Been here all along." He is Chief Black Hawk of the Sauk Indian tribe, now known as the Sac and Fox tribe. They are located in the area where Missouri, Nebraska and Kansas meet. Thats where we lived at the time in Nebraska. I now live in Tn and he is with me daily and speaks to me often. I always had his picture where i could see it regularly not hidden in an unused room. He is back in a place of honor where i pass him many times a day. I had a feeling of peace when i put him back in that place instead of where he was on the floor beside a bookshelf. I grew up around the Seneca Indians in New York, the Sac and Fox in the midwest and have lived around the Cherokee here in Tn. I have always loved their traditions and ceremonies with their reverence for all the parts of our wonderful Earth. They can show us the way to honor Her. marco paganelli dear Elizabeth this is so beautiful!I have discovered during my awakening that i have been a medicine man, during one of my past lifes and indeed the connection with mother gaia has always been very strong to me, i also had spent other lifes in Egypt ( i recently discovered to have been Nefertari herself the Pharao Queen during a meditation that was astonishing to me, indeed i was really surprised and this happened after the solar eclipse of 21 of august <3 ) and also have been a celtic druidic priest aswell so this connection and love for mother gaia belongs deeply inside heart during my past lifes and of course i continue to belief in this greater cosmic love right now aswell lots of love marco paganelli..
Yvette I have long been a lover of the earth, but within recent years I have started connecting with Mother Earth every morning to thank her for her love and nurturance and to receive her beautiful energy. It is a wonderful experience! As a healer, when I do a massage or yoga therapy or Reiki treatment, I always connect with Pacha Mama for support and stability. Every morning I walk out into my garden and chat with the trees and birds. Johna Anoatubby I can remember being as young as 4yrs old and having very mature thoughts and opinions about how the people around me and all over the world (due to television) were destroying and being so rude to Mother Earth...and it literally affected me so emotionally I would cry and pray and talk to her and ask for forgiveness not for me but for humans cause I just knew they had not a clue to what damage they were doing to her and all the animals and plants and waters...all this happening in the mind and soul of 4 yr old. Growing up as a young Native American girl in Native country Oklahoma...I was taught all the traditional things that my mom and her and her mom before were taught....using the plants and trees for various reasons from sickness to spiritual protection. It's was normal and natural thing to be aware of all the energies around that could and could not be seen by the naked eye. I fancy shawled dance at stomp dances and pow wows all my young life, my mom was so proud to have her daughter participate in all those events..I was the youngest and my older sisters had no interest what so ever...so when she realized I took interest I could literally see her eyes brighten up and it made me SO proud not only to make my mom proud of me and light up with her smile, but it was something that I just knew was who I was and I could feel my ancestors around me guiding ..feeling there gratitude they felt for me to continue traditions that we're sadly, slowly disappearing more and more each generations. I hugged trees talked to trees called them grandma and grandpa and I never questioned why I did this...like I said being 4 yrs and it just was cause I saw and felt it to be my truth. I grew up keeping it all within me sacred as the trees...sacred as the sunrise and sunset. I knew my place on earth all my life. I am now 42 years young and I am a licensed Massage Therapist aspiring to to be a reiki master, energy healer, and light worker. I been guided my whole life by native spirit guides..my ancestors....my "main man" wears a long gorgeous Lakota Souix headdress...I am extremely thankful for they have helped me see the truth...my truth all my life...and they are thankful that I never questioned any of it at anytime. I know who I am and who I need to be. I say it like it's been easy to do so, but in reality it's been trials and tests that I failed from time to time and conquered just the same..all awhile gaining wisdom and learning to be thankful for the universe giving all this experience and more to come. Thank you for reading my very intimate story of my truth, being put into words for the first time. I send out love peace and harmony to the universe...my inner being is connected to the divine light..I am the light...connected to Gaia keeping me grounded...so as above as it is below, Connected, being one with all...namaste.???????????? Sea Yes Elizabeth, I feel the resurgence of the return to the garden, honoring our natural world in everything we are and do. Thank you for sharing your connection, it's helped so much to know someone like you is out there heart-resonanting to holy spirit. 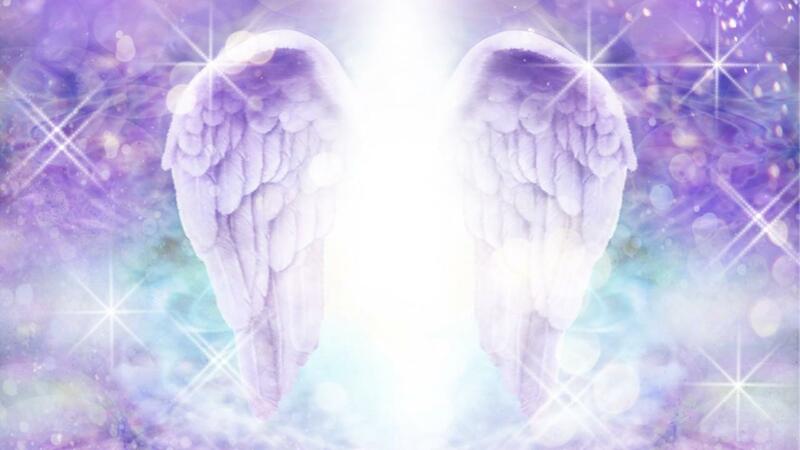 Thanks also for your archangel Raphael video meditation, connecting as a channel for earth healing was really felt strongly throughout that video. Blessings. N A R E S H B O L L I * Yes. !! My dear friend Elizabeth you're amazingly awesomely wonderfully beautifully information to me guide and to experience good best for my life and you Always support help to me to get best of my life for that I appreciation a lot about you and thanks a lot about wonderful information and I daily every moment in meditation with my wonderful beautiful Universe always for the good things come into my life as well as in people's life of each person life and I pray daily God to save this my world. OK. !! Teresa Burke Yes, I have of recently become aware of my passion for Mother Earth Gaia. I am grateful to be learning day to day. Seasonal changes are very deep within me as I feel her lessons. Sherry DeJong I have always loved being out side, Yet it's the last 15 years or so the I really appreciate nature and love it in a new way. There is a lovely tree I often hug on my walk by the lagoon.I find many feathers there and always give thanks for them and the beauty all around me. Lauren Hi Elizabeth I love this! I have always had a connection with the earth and more recently with trees ? My favorite thing to do when I am at my moms is to sit outside in her beautiful yard and just sit with the dogs and listen to the trees the wind and the birds sing. When I lived there that was my ritual every Saturday morning. And I try to do it every time I visit. Most recently I've had a connection with trees. So beautiful and healing ? Joe Randazzo Greetings dearest Elizabeth! As always Marika and I send you our loving best! Several years ago I had an unbelievable angel card reading with Jennifer Shackford, our mutual friend. During the reading Jennifer became very animated and excited and kept staring behind me, while exclaiming, "Joe do you see him?" When I finally calmed Jennifer enough to ask her to explain, she said that standing over and behind me was the spirit of Lakota Sioux Chief, Chief Red Cloud! Chief Red Cloud was a personal spirit guide to her for years, and until this reading with me she had never witnessed his presence so dramatically with anyone else. Fast forward, since then through my shamanic work I have had the regular benefit of not only Red Cloud's assistance but several other Lakota Sioux Chiefs. During a shamanic journey I was even brought before a Native American tribunal and initiated into the tribe. I strongly believe that these experiences have profoundly deepened both my and Marika's connections to wildlife, stones, flowers, and plants. 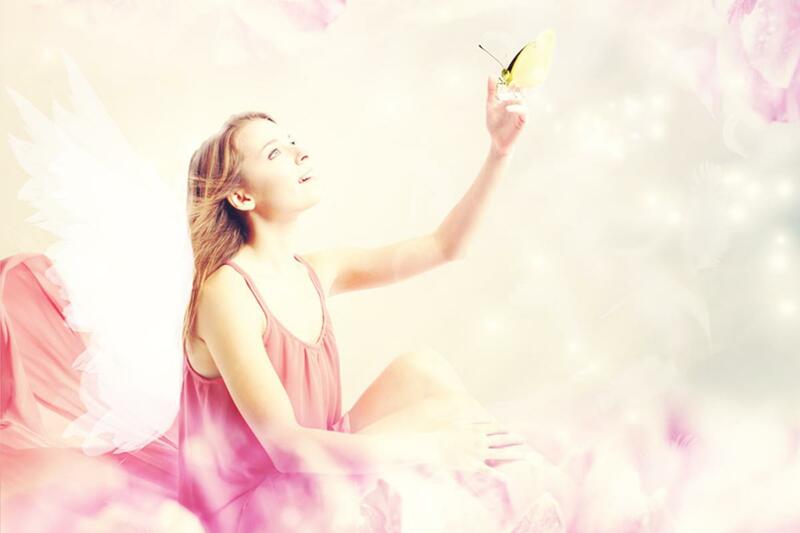 We feel and even routinely communicate with them, and have become very conscious of their energy and feelings. Without doubt our connection and reverence to Nature and Mother Earth has been enhanced, perhaps in great part, through Red Cloud's presence in my life. Feather Yes, I have the awesome task of connecting to the Earth daily physically, telepathically, Spiritually. The connection I have with my Gardens and Plants and all those Beings that live with them is palpable. There is this strong draw to be out there with them every day. When I get off center I hear the message to walk outside. I feel the connection to and with all of them. It calms me and I am home with them. It is the digging in the soil, tending to the plants, kneeling and sitting on the ground with them, brushing up against them, the light touches, and the kisses I give them as I weed, water, cut grass, harvest, do the creative ideas that they give me, and walk among them. The draw is so strong that I wish I could live out there with them, totally connected, feeling them. If it rains heavy for a few days and the skies are dark I start to wither. When the Sun comes out again I am rejuvenated. I am not sure what I am doing for them or with them or how far it is carried or if they even benefit with this but I know I must do it. Maybe somethings are developing between us. I know it is hard to come inside on some days and do my other work. I love them so much and it is so much more comfortable being with them then with many humans. They have always been a comfort me since I have been a small child. I know the connection is real and strong. Eileen Woodman My guide is a a Tibetan Monk and when I meditate and call upon him, he always takes me on a walk in the mountains. This has the effect of making me feel extremely happy and I often hear a solution to my problem. I have a friend who has a Native guide and she is very close to nature. Janna Wellander Cabalou Yes yes yes! So timely article. I am not the typical environmentalist, if there is a typical person like that... What I mean is that even though I'm aware I do not do a lot of what could be done for mother earth. Like recycling, eating whole food, stop using so much plastic, stop printing so much paper etc etc. But what I have done recently is awakening to the source that she is. I've felt so sad about being disconnected from her for such a long time. So angry that you're not taught more about it in school. But so grateful for what she gives us every second of the day! So grateful for her beauty and so grateful for reconnecting again. So, lately I have received a lot of guidance (cards) about going out in nature, connecting to Mother Earth. And lately is like the last two years or three... I feel a bit slow in taking action. But then, what is it that I'm suppose to do? All the recycling etc? Feeling a bit stressed out about it and has asked the last week or so - what can I do to give back to Mother Earth? And the first thoughts that pop into my head every time is simply "enjoy". Share the joy of living - sing, dance, laugh... Be grateful and treat her with respect and kindness. So, the gratefulness that you write about is a message here for me again. And I also think about the story you told in a video with the birds singing for/in the tree. The tree grew with the song almost. I don't remember exactly but I believe that when we sing for her, when we laugh and do ritual for her. She rejoices in our life force. If she chose to be our home, as we chose her, I believe we can celebrate her every day, as she provides this home to us. Thank you for all your beautiful work Elizabeth! Always. Deborah I do feel that my connection to Mother Earth as increased as I have gotten older. I do have Native American in my blood so I have always been aware of these native guides. I am often contacted by these guides as a wolf and a bear and sometimes a wild cat. But my most recent contact was made by a frog which I thought was quite unusual. What do you know about a frog guide. In the few books that I have look at doesn't mention anything about a frog. The frog encounter that I had about a year ago happened one night after my husband had gone to bed. Our dog Jackson began to run about the TV like there was something under it so I got my flashlight and looked under it and there was a frog staring back at me. I couldn't tell how big it was so I thought I would just left it there for the night and get it out in the morning. So I went upstairs to sleep because my husband sometimes snores loudly. So as I am lying there, I here this thump against the wall, then again and again and again. Finally, I got up and turned the light on and there was the frog!! it was huge!! It had followed me up the stairs and was thumping the wall to get my attention. I was really freaked out about it so I got my husband up to get it and take it outside. I am very curious about the frog and its meaning. Then about 2 months ago I found a statue of Ganesh in a local store and was very excited that it had the mouse some statues of Ganesh do not include the mouse. So I bought it and took it to my yoga studio. When I got it to the studio and set it up I began to examine it more closely, the mouse that I saw on the statue with this long tail, the body and head of it was a frog instead. Again I thought there is a message for me but I don't know what it is! What do you think? Anne Michelle Roemer Sentissi Hello, Namaste!! ?Love for the Earth resonates in abundance with our hearts ---❤️ In silence we know this!!! Through recognizing we are all One & All sharing this Earth Experience. I have ALWAYS been incredibly drawn to Native American cultures as far back as I can remember because of thier teachings! Interestingly, just yesterday, I was watching an amazing video on YouTube about the Hopi History of Creation. It talks about the Great Spirit having given the guardianship of the EARTH to the Red People/Native American Peoples. The Red People being one of the 4 Nations of the World, each of the 4 groups of People a keeper/protector/teacher of each of the Elements; the Yellow people the Wind, the Black people the Water, the White people the Fire. The Hopi prophecy & history speaks of a sacred covenant the Native Americans have with God & how thier teachings hold the key to our Earth's survival by uniting all nations of people together into one Human Family. That through an understanding & reminder of the sacredness of all things, there CAN be peace on Earth. The ancient Hopi prophecies themselves are astoundingly descript & invited intense Spiritual introspection for me with our Source & Creator. Though there are signs as well as warnings within these prophecies, the teachings show how the People of the Earth, All People, can overcome & avert disaster. 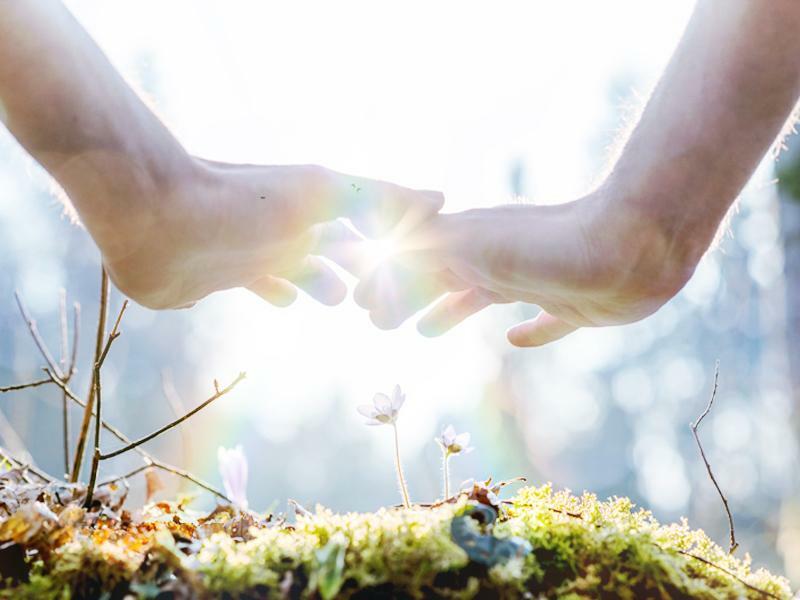 Through our hearts, by awakening our Spirits & aligning our vibrations into a Universal Love or Oneness makes US creators of our own destinies - And the destiny of this beautiful Earth. The Earth holds all the answers, all that we need, if only we resonate with Her Vibration!!! The Native cultures have known, lived & breathed these vibrations, it is through these practices & sacred teachings (and perhaps through our own Native Guides!) that we may carry on these practices, going on to teach everyone that we can through our own Light workings & effect positive change in the world. We must breathe new life & love into the Universe while we live in harmony & peace within the continued splendor of all that is our Earth!!! Debra I went to Catholic school for 12 years and to say it was not a good fit is an understatement. I spoke "prayed" to the Earth and nature for years as a child before knowing about Gaia - that is truly my "god". Lynn Hi Elizabeth, thank you for your letter, "Spirit Guide Epiphany". I always enjoy hearing from you! I love mother earth! Gardening and growing fruits, vegetables, flowers, and herbs has always been an interest of mine. As a healer, I love to explore natural health remedies using plants from the earth. I have read Denise Linn's books about her Native Spirit Guides and clearing rituals. I have made use of crystal grids and studied different crystals. All of this has contributed to my awareness of the importance of our earth. really wanting the same things. So lets all make a cleaner world for us to live in and keep it beautiful. E Hi, Elizabeth! My Gatekeeper is a Native American named Running Bear who has been with me through lifetimes. Now I live in Phoenix, AZ & that has brought me even closer to the Native cultures here because I teach many early literacy classes at a community center called Native Health. Every morning when Little Daisy the Wonder Dog & I walk in the park we offer deep love, appreciation, & gratitude to Mama Gaia & the Spirits of the Land. In return we feel welcomed, blessed & cherished. Thank you so much for sharing your thoughts on this! Vicky Feeney I do believe that the earth holds many answers for us and yes I know I have a spirit guide, our paths cross physically many times also in the form of "Deer"...usually bringing bad news but none the less I know when a deer starts coming out when I am driving there is something about to happen. Beatrice Paradis I've always been connected to the native spirit and always had them with me guiding me and helping me along the way.